Saudi Arabia Gold One Guinea Coins represent the pinnacle of Saudi gold coin achievement. Struck in the two years of 1950 and 1957, they are the Middle Eastern nod to the then-dominant British sovereigns. With an artistic and attractive calligraphy-based design, these coins still prove to be popular with the world gold coin collecting and investing crowds over 60 years after they were last issued. The Kingdom of Saudi Arabia has long been envied for its incredible and seemingly inexhaustible oil wealth as the possessor of the second biggest proven oil reserves on earth (only behind Venezuela). What many individuals are not aware of is that the Kingdom is also a major gold producer and has served in this role for over 3,000 years. In fact, King Solomon is believed to have sourced his legendary wealth from an Arabian peninsular gold mine that is still producing impressive gold yields year in and out to this day. Saudi Arabia Gold One Guinea Coins represent the pinnacle of Saudi gold coin designs. These pieces were the gold standard for the emerging market Middle East in the 1950's, as they were astutely modeled on the British Gold Sovereigns. Thanks to their weight and gold purity being identical to their sister gold coins from the U.K., these quickly grew into a practical means of conducting regional trade settlement. The Kingdom has actually only produced five separate gold coins in its entire history, with these gold guineas having been struck only in two years in honor of the Hejira 1370 year which corresponds to 1950. Mintage for these coins amounted to two million pieces, making them a major issue for only two years of minting. In the first year 1950, they were minted at the Lahore, Pakistan official mint, while in the 1957 second year they were minted in the Saudi Royal Mint which had been established in the meanwhile in the Kingdom's holy city Mecca. The coins contain a face value of 40 Riyals and an actual gold weight of .2354 ounces in 22 Karats purity. The obverse is the official nomenclature for the front side of coins. Saudi Arabia Gold One Guinea Coins contain a beautiful calligraphic design which features a surrounding beaded circle which has crossed swords and palm trees at the coins' bottom. The inscriptions say in Arabic “One Guinea” at the coin top and “1” in the center. The date of mintage adorns the bottom of the coin. The back of coins is called the “reverse.” Saudi Arabia Gold One Guinea Coins contain several phrases on the reverse. At the top the coins state “King of Kingdom of Saudi Arabia.” The middle contains crossed swords and a date tree. At the bottom, the coins declare “Saud bin Abdul Aziz Al-Saud,” who was the reigning Saudi Arabian monarch of the day. Saudi Arabia Gold One Guinea Coins have a face value of 40 Riyals as legal tender in the Kingdom. It would be entirely possible to spend these relatively rare bullion gems on daily needs, goods, and services, but in practice only a fool would choose to do so. This is because the coins' intrinsic value contains a true gold content valued at over $250. This worth comes from the daily spot gold price. The coins also have some collector's value premium over the trading daily world gold prices thanks to their popularity as world gold coins and with relatively limited mintages of under two million pieces for the combined years of 1950 and 1957. These unusual and unique gold coins derive their true market value from this intrinsic gold value. Market value is king when it comes down to valuing the coins contained within these investment or retirement portfolios. Actual market value comes from the see-sawing gold prices that go up and down during the trading week days and Sundays. You can easily determine the present live market prices for gold at any time it is trading simply by clicking on this link to our homepage. Can IRA Accounts Contain Saudi Arabia Gold One Guinea Coins? Saudi Arabia Gold One Guinea Coins stand out for their exoticness and historical value for investors who are interested in owning a piece of the lavish wealth produced by the Kingdom. It is important to determine if these gems can be included as a part of your IRA retirement account, since only IRS approved bullion coins may be a component within the vehicles. The IRS has sole domain on determining which contenders may and may not comprise precious metals IRAs. They hold all contestant coins up to a rigorous dual standard of high gold purity and low collectibility premium. The IRS insists that any coins to be included in such an IRA must be handled directly through an IRA account administrator which they have approved. These agents will actually place all orders directly with the coin dealers and arrange for shipment to the IRS-approved third party vault company for storage, maintenance, and safeguarding. You will have to start out with at least a $5,000 minimum purchase of precious metals which the IRS has approved in order to set up such an account. Subsequently you may choose to purchase additional quantities of precious metals in minimums of only $1,000 in gold, silver, platinum, or palladium bullion coins or bars if you so desire. 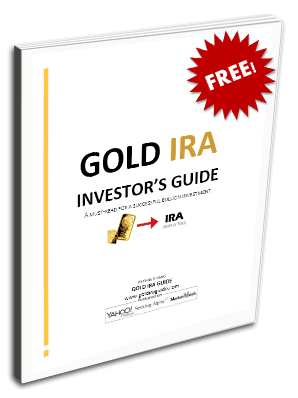 Should you already possess a more traditional form of IRA retirement account, you can relatively easily roll it over into a precious metals IRA vehicle. Regarding the approval status of these coins in IRA accounts, with a mere .9167 gold purity, the Saudi Arabia Gold One Guinea Coins do not meet the minimum gold standard for purity which the IRS has pegged at a high .995. The IRS similarly believes that the pieces are more collectors' world gold coins than straight bullion issues because of their substantial premium over spot gold prices. Thanks to the coins failing on both standards, the tough IRS unashamedly will not allow you to include these interesting symbols of true wealth in your self directed IRAs.